The boom in China's VR industry following Facebook's US$2-billion buyout of Oculus, a U.S. producer of VR gadgets and computer games, in 2014 has declined, with about 90 percent of start-ups in the domestic market declaring bankruptcy. "There were about 200 to 300 firms engaged in producing VR helmets in 2015, but now no more than 10 companies remain functioning,” Fang said. Investment in the Chinese VR industry soared to 270 million yuan (US$38.9 million) in 2014, a robust rise followed by 2.4 billion yuan in 2015 and 1.54 billion yuan in the first half of 2016. 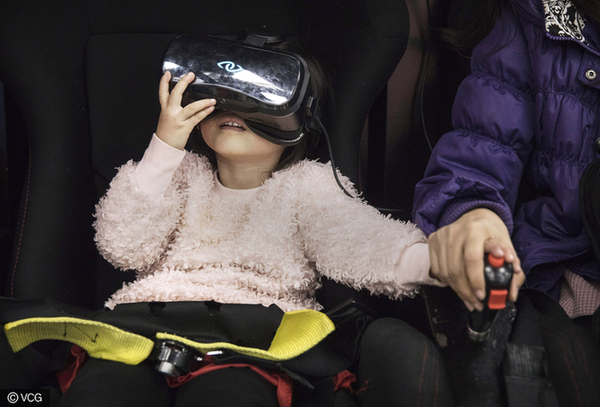 The explosive growth of the virtual reality industry in China has recently dived amid waves of close-downs of VR firms in the national market.